Start your morning out in the most fabulous way by treating yourself and your loved ones to this special morning delight that will surely live up to Its name. 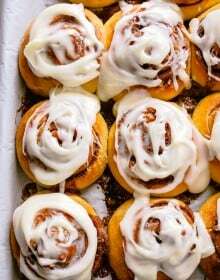 For as long as I can remember, my grandmother loved her cinnamon rolls. I have her to thank for my passion for baking this special treat any time we have company over or a special holiday celebration. This is Mark Jr’s number 1 requested breakfast treat – hands down. 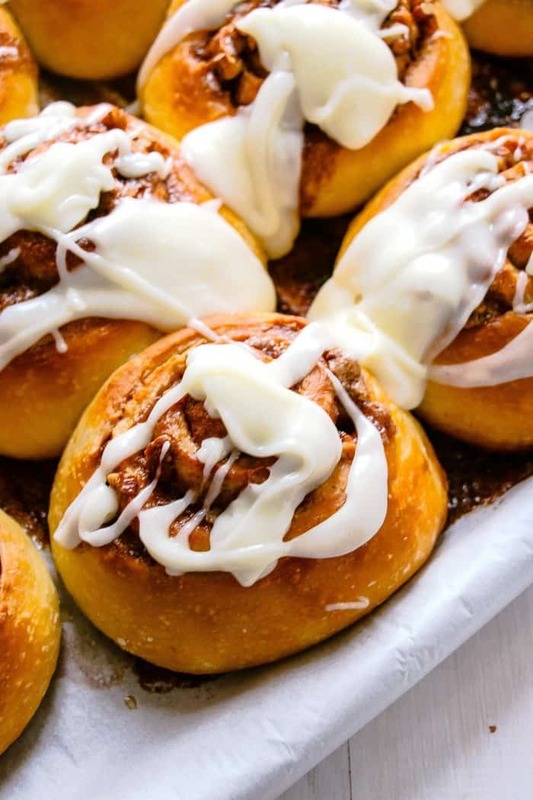 Now that you have probably figured out the secret ingredient (potatoes), you will never want a cinnamon roll made without them again. Think of how moist and delicious potato rolls and bread are…….well, that moist and delicious taste transfers to your cinnamon rolls. 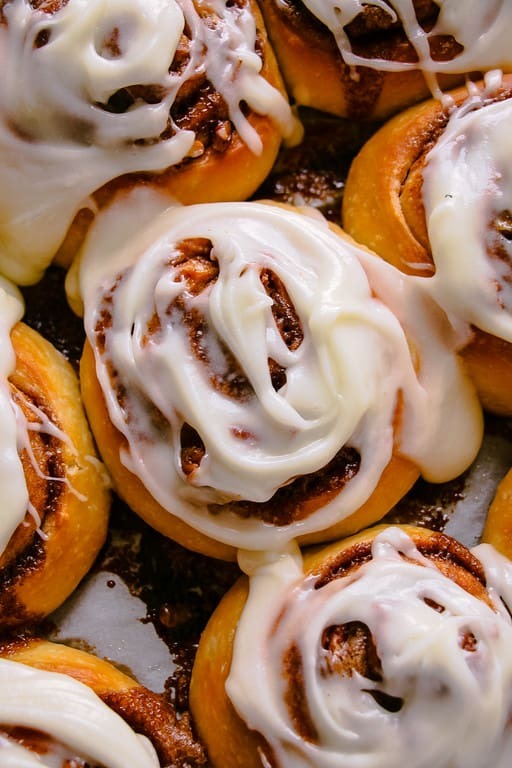 I never tell anyone the secret ingredient until after they have eaten their cinnamon roll because I love to see their surprised faces when I tell them what makes these cinnamon rolls so soft, fluffy and well…..just perfect. I have had people tell me that they could never make cinnamon rolls because they are too complicated and time intensive. I promise you that just really is not the case. They are actually super easy to make and they really don’t take all that much time to make. The longest part is letting the rolls rise. I use that time to make the filling and icing so once they have risen I am ready to go and will have the rolls in the oven in no time. 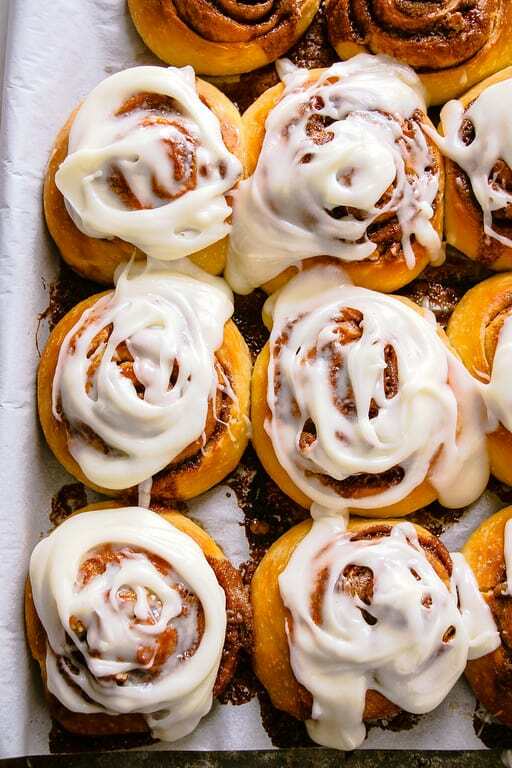 I don’t know about you but I love A LOT of icing on my cinnamon rolls. Don’t worry this recipe gives you plenty of icing to spread all over. Trust me when I tell you that with all this goodness you really can’t mess these up. I want to hear back from you – what occasion did you make these and how did you enjoy them? In a large bowl combine 1 1/2 cups of the flour and the yeast; set aside. In a medium saucepan heat and stir milk, mashed potato, the 1/3 cup butter, the granulated sugar, and salt just until warm (120 degrees F to 130 degrees F) and butter almost melts; add to flour mixture along with the eggs. Beat with an electric mixer on low to medium speed for 30 seconds, scraping sides of bowl constantly. Beat on high speed for 3 minutes. Using a wooden spoon, stir in as much of the remaining flour as you can. Turn out dough onto a lightly floured surface. Knead in enough of the remaining flour to make a moderately soft dough that is smooth and elastic (3 to 5 minutes total kneading time). Shape dough into a ball. Place in a lightly greased bowl; turn once to grease surface of dough. Cover; let rise in a warm place until double in size (45 to 60 minutes). Punch down dough. Turn out dough onto a lightly floured surface. Cover and let rest for 10 minutes. Meanwhile, lightly grease a 13x9x2-inch baking pan; set aside. Roll dough into an 18×12-inch rectangle. Spread the 1/4 cup butter over dough rectangle. Sprinkle filling over butter-spread dough rectangle, leaving 1 inch unfilled along one of the long sides. Roll up filled rectangle into a spiral, starting from the long side with the filling. Pinch dough to seal seams. Cut dough spiral into 12 equal pieces. Arrange pieces, cut sides down, in the prepared baking pan. Cover with a clean kitchen towel and place on the middle rack of your unheated oven; place a bowl of warm water on the lower rack. Let rise until nearly double in size (about 30 minutes). Remove pan of rolls from oven; uncover and set aside. Preheat oven to 375 degrees F. Bake for 25 to 30 minutes or until golden brown and done in center. Cool in pan on a wire rack for 10 minutes. Using a small metal spatula, loosen rolls from pan. Place a wire rack on top of pan; place one hand on top of rack and other hand under pan and carefully invert pan with rack (use pot holders to protect your hands). Lift pan off rolls. 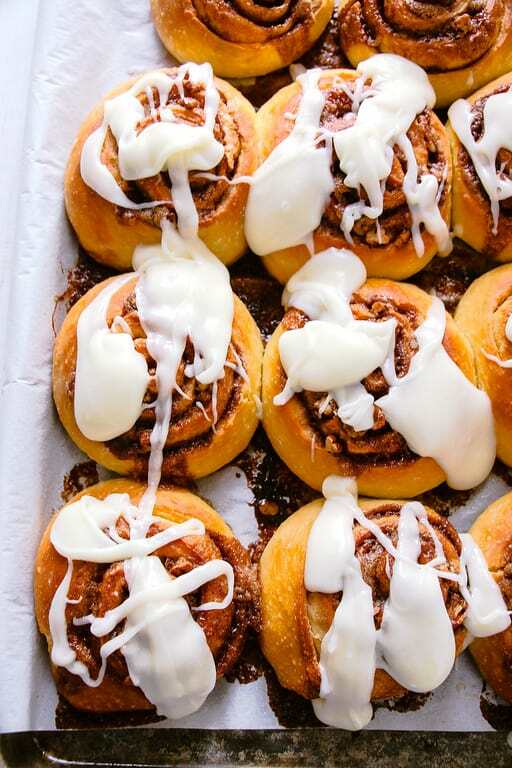 Drizzle or spread rolls with Icing. Serve warm. For the mashed potato, prick a 10-ounce unpeeled potato all over with a fork. Microwave on 100% power (high) for 5 to 7 minutes or until tender. Halve potato and scoop pulp out of skin into a small bowl; discard skin. Mash the potato pulp with a potato masher or an electric mixer on low speed. Measure 1 cup of mashed potatoes. Prepare Potato Cinnamon Rolls as directed through Step 5, except do not let rise after shaping. Cover loosely with oiled waxed paper, then with plastic wrap. Chill for at least 2 hours or up to 24 hours. Before baking, let chilled rolls stand, covered, for 30 minutes at room temperature. Uncover and bake as directed.